Governor Tom Wolf made good on a campaign promise Wednesday and proposed a severance tax on natural gas drilling. 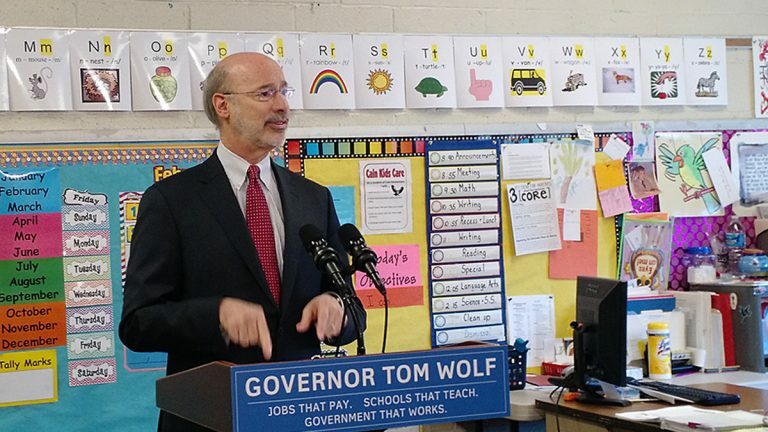 Speaking in an elementary school classroom in Thorndale, Chester County, Wolf said the “lion’s share” of the revenue will go to hiking overall funding for public education. Wolf’s proposal calls for a 5 percent tax on the value of natural gas at the wellhead, plus 4.7 cents per thousand cubic feet of volume pulled out of the ground to hedge against fluctuations in prices. The governor’s plan is modeled on neighboring West Virginia’s severance tax structure and he projects it would generate $1 billion in its first year, which is about $800,000,000 more each year than the current impact fee. Since 2012, drillers have paid a fee for every well with most of the money going back to communities that host the drilling. Under Wolf’s proposal, the tax would replace the impact fee while maintaining a certain portion of revenue for impacted communities. The governor said he has not yet “worked out the formula” for how much of the money would be distributed among local governments and spent on education, as well as boosting environmental protection. Polls have shown public support for a severance tax in Pennsylvania. However, the natural gas industry has lobbied against it, claiming it would create an unfriendly business climate in the state and could prompt a slow-down in drilling operations. 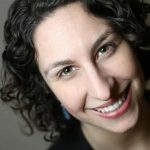 “Make no mistake, adding a five percent tax to any business sector – including the energy industry – is going to reduce capital spending and hit the supply chain, especially Pennsylvania-based small and mid-sized businesses, as well as our region’s labor and building trades,” said Marcellus Shale Coalition president Dave Spigelmyer in a press release. Wolf believes the tax will garner more public support for natural gas drillers. The Democrat will also have to contend with leaders in Pennsylvania’s Republican legislature who have other priorities, including pension reform and privatizing state-run liquor stores. Senate Majority Leader Jake Corman (R- Centre) said he understand’s Wolf’s interest in a severance tax, but pension reform is a more pressing matter. A spokesman for House Speaker Mike Turzai (R-Marshall), who opposes a severance tax, did not immediately respond to a call for comment. This is a corrected version. The number comparing the proposed tax to existing impact fee gave in incorrect figure. We apologize for the error.